Sterling Systems & Controls Inc. has introduced a new entry-level batching controller. The unit is a semi-automatic batching system that still requires operator involvement through each step in the batching process, but provides automated operator instructions/prompting, ingredient validation and lot tracking, automatic weighing with over/under tolerance control, etc. The batching controller will eliminate bad batches that result from operator error and interruption. The operator no longer needs to keep track of where he is in the batching process, the automated hand prompt batching station does that automatically. There are no missed ingredients or bad batches. The controller’s PC and touchscreen display will ask the operator to weigh ingredients. The controller sequences an operator through a formula one ingredient at time. 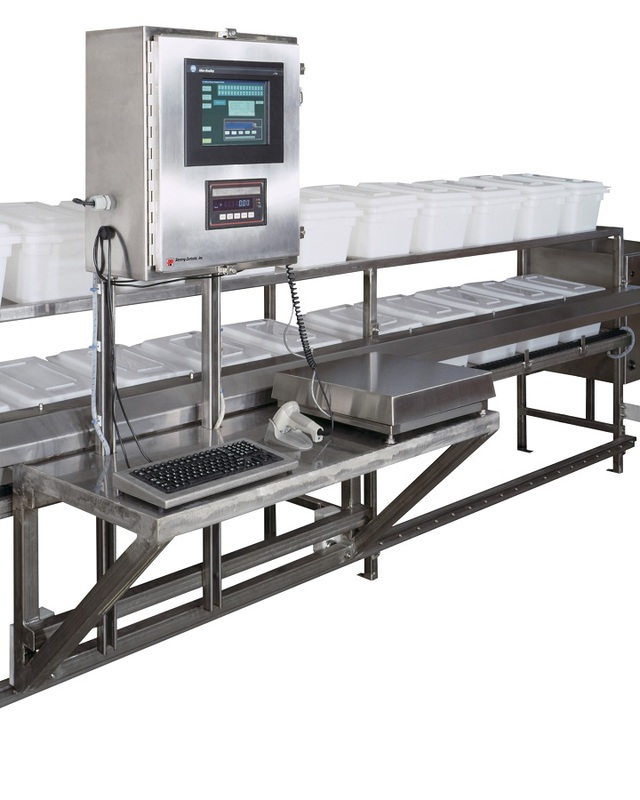 The primary advantage of the system is to ensure that each ingredient is added to the container, is within a programmed weight tolerance, and from the correct ingredient lot before the controller will index to the next ingredient to be added. This will ensure the validity of all batches created by the operator.